What are some of the most sought after resources for print lovers? Professional fonts? Print effect kits? Scalable vector graphics? Or maybe super high-res stock photographs? 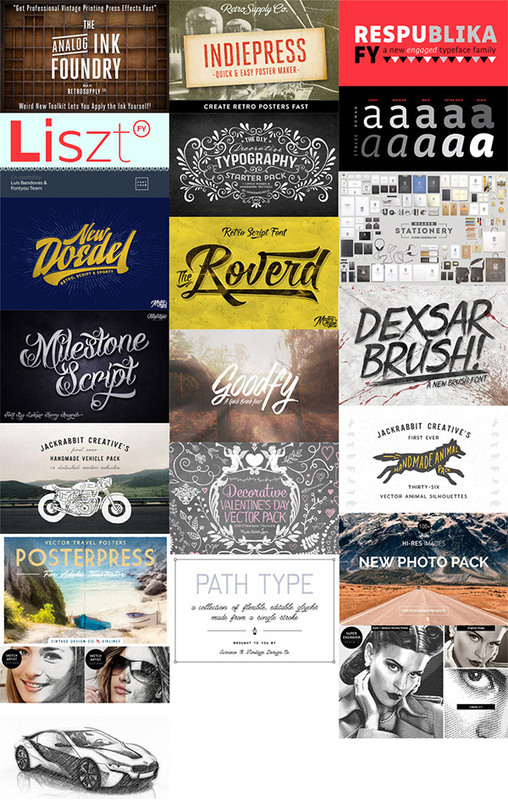 How about a bundle that contains all these these useful design resources, reduced in price by 97%?! The latest deal from Design Cuts is The Print Designer’s Bundle, which has been specifically put together based on requests from the community. It contains a huge variety of best selling items that are perfect for creating print themed design work, all for just $29. It’s not always feasible to create distressed print effects using old printing presses and authentic inks, but it is super easy to create realistic effects that mimic the coolest print styles with Photoshop Kits. This bundle contains some of the best PSDs such as the Analog Ink Foundry from RetroSupply or PosterPress from Vintage Design Co. Just drop in your artwork to have the effects instantly applied. A designer can never have enough fonts, and professional fonts are crucially important when designing for print. 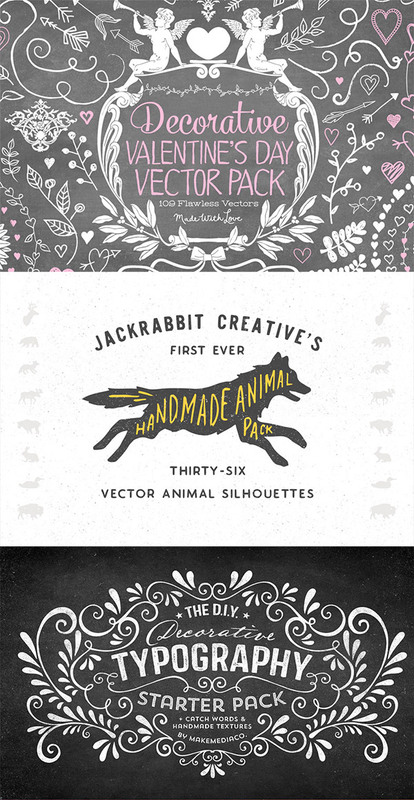 The Print Designer’s Bundle contains a total of 7 premium fonts, two of which are nice, clean corporate typefaces, while the others cover various artistic and retro styles to give you plenty of choice when composing your designs. The great thing about these fonts is their quality. There’s loads of weight variations, plenty of glyphs and extensive language support. The scalable nature of vector graphics makes them a print designer’s best friend. There’s no need to worry about resolution as these graphics will print with crisp edges at any size. This makes them perfect for every print medium, from booklets to huge banners. Ready made vectors are a huge time-saver too! Forget about tediously drawing, scanning and vectorizing your own illustrations when you can have a complete library of quality graphics to quickly add to your design compositions. You’ve just designed a cool new logo and brand for a company, how do you show off your handiwork? You could have every item professionally printed on the highest quality paper stock, then hire a photographer to capture some cool photos of the final products; or you could fake it with a clever PSD mockup template. One of the best ways to wow your clients is to go the extra mile and create a stunning presentation of your design concepts. A preview of how the design will look on real life print products is a fast track to getting the all important sign off! Resolution is crucial when it comes to print design. Any image destined for print will have to be sourced from a reputable stock library, but they’re not cheap! The Print Designer Bundle also contains over 100 ultra high-res photos of landscapes, mountains, and scenes of nature, which are all perfect for backgrounds, headers, articles, presentations and posters. There’s a huge variety of items in this bundle, including even more resources that I haven’t been able to feature in my little review. Check out the full overview to see all the items on offer. Remember that these products are best-sellers at their full price, that’s without the extended licensing that is included by default in this deal. Combine that with a discount of 97% and it makes a real bargain. This bundle is only available for a limited time though so grab it while you can! Great collection Chris! Thanks allot! These are awesome, thanks for the bundle share! I great post with awesome information. Thanks for sharing.